Taking photos of planes seems pretty easy. Taking photos of the moon is straightforward enough. 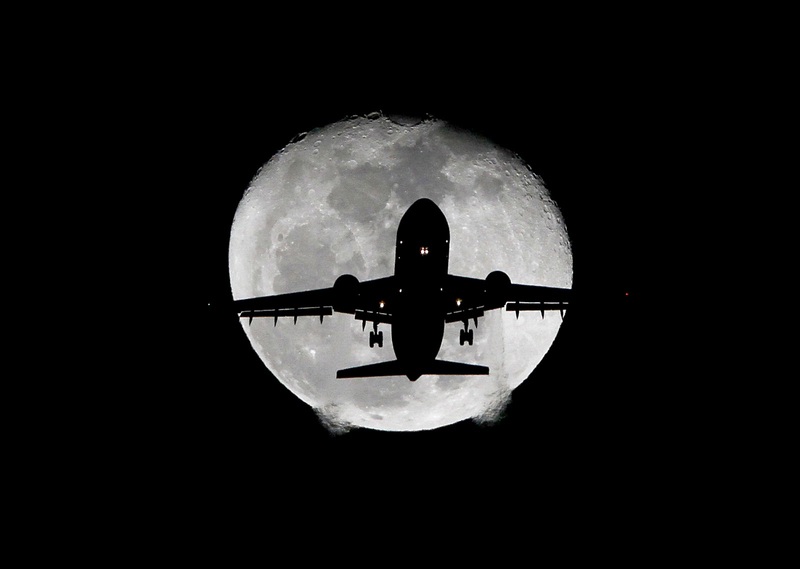 Taking photos of planes against a moon? Now that's a ton of work. I picked the brain of Raul Roa, an L.A. photojournalist who has been shooting the moon in his spare time for the hell of it. I asked him a thousand questions about the complicated logistics of getting such a shot, something about tracking the plane's path and altitude relative to the moon's degree and elevation and your location on the ground and how long your lens is. It's mega complex. But the results are stellar. See for yourself over at Motherboard.